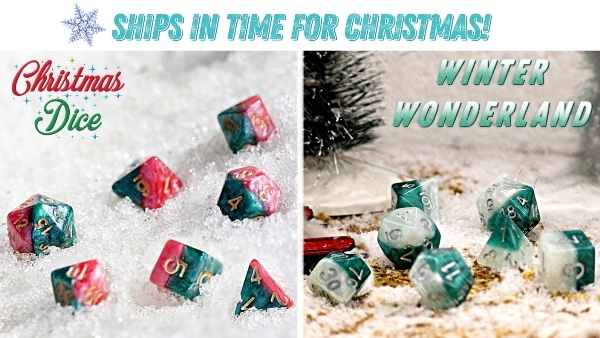 As of this morning on Kickstarter, there are two new Christmas-themed Halfsies Dice from Gate Keeper Games available. …and they ship in time for Christmas! Sets start at $12, or both for $23. Only the first 400 backers will get their dice before for Christmas, the rest in 2019. The campaign will last only 10 days to ensure we can ship in time for Christmas.